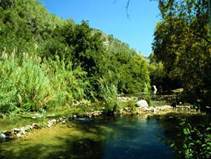 Institutional and Economic Instruments for Sustainable Water Management in the Mediterranean Region (coordination project). The project brought together 14 institutions from 10 Mediterranean countries and International Organizations. Tasks entailed: market survey, analysis, workshops and community participation to assess the water problems and propose solutions in the Damour River Basin. Market survey, analysis, awareness and promotion of a Mediterranean web-information node for the SMEs in the dairy products industry, textile and hotel sectors, to support them in improving their competitiveness by adopting environmental policies and practices. Assessment of water resources and water demand in Lebanon. Assessment of the situation of the three nature reserves (Palm Islands, Horsh Ehden & Al Shouf Cedars), preparation of Business Plans, Fund Raising Strategies and Marketing Strategy for the three reserves, and implementation of Funding Strategies.